Today is World FM Day and, as the BIFM website says, it’s a day ‘To draw attention to the aims, objectives and progress of the facilities management profession around the globe’. In the building design and construction industry FM is increasingly becoming a topic of discussion, not least because of the cryptically named Government Soft Landings (GSL). This programme is focussed on helping building operators to understand and use their facilities as they were design to be operated. We are part of the way through a digital construction revolution in the UK with the goal of producing accurate, data rich models that will be used throughout the design, construction and operation of buildings. There is no question that parties at the front end of the process are increasingly aware that someone may want to use their information to run the building, but what happens next. Discussion about the ‘importance of FM in BIM’ has been common place for at least five years now, but there is little evidence that integration is moving forwards. What really concerns me is the evidence of silo like behaviour between FMs and design and construction disciplines. This is a two directional problem and it’s typical of the early stages of integration. The good news is that there is a lesson that can be learnt from what has come before, because the industry has been through these growing pains previously several times. I say been through, maybe I mean is further along the way to resolving. One of the biggest culture changes with BIM workflows is the realisation of just how much more understanding we must have of other disciplines needs, in both what we deliver, and when we deliver it. The risk is a focus on your own needs to the detriment of other disciplines needs. Alarm bells ring when I hear language like ‘we must teach designers how to work’ because this often translates as ‘I want you to consider my needs while I ignore yours.’ Successful BIM process helps everyone do their job better, not one party serve another. I’ve heard too many complaints that the BIM data is wrong for FMs, or there is too much. One of the reasons for adopting BIM is to prevent the loss of information, and yet I hear a lot of FMs talk about throwing away the stuff they don’t need from the design and construction of a building. If we look to PAS1192 part 3, which is focussed on the operation of buildings, for guidance one particular diagram shows a central store of information about the building which FM systems will interface with, for both using existing data and feeding back new data. It is encouraging because it makes it clear that this central store of information has value beyond the operation of the building, some of which an operator will want, some which they will provide and some which should be preserved until the building needs to be refurbished or demolished. None of it should be thrown away and operation is a continuation of collection, development and maintenance of the information about the building. FMs need to buy into this idea just as much as the designer and builders need to buy into delivering the FMs requirements. For those FMs that think they really are the top of the food chain, like perhaps main contractors feel they are at present, I’ll leave you with this thought; If the ratio of cost through design:build:operate is 1:10:100 what happens when the buildings you operate are populated with internet connected devices and this stream of new big data is crunched en-masse to optimise whole portfolios, or reconsider the operation of whole sectors of buildings. Those data gatherers are going to have their own requirements, and if a new tier is added to the ratio of cost 1:10:100:1000 it maybe that ‘teaching’ FMs how to work will be what they think they should do. It would be far better if everyone’s needs were considered so we could all add value at every point we work on a building. BIM is about working together and taking the huge benefits of the free flow of high quality information coming from constructing a building. Supporting the operation of buildings is a goal that we all have to work towards. We all have to understand each other better, designers, contractors, operators alike we all have a job to do to make and run great and efficient buildings. So I hope that World FM Day can be as much about engagement with the people that operators rely on as it is about celebrating success in FM. Our buildings, our data? Maybe not. This blog is about something I believe is fundamental in every aspect of our lives not just the built environment. It is about who collects, owns, controls, and sells data that we perceive as about us, or our buildings. Data which quite reasonably we think should belong to us. It has taken a long time for the world of massive data collection to reach the construction industry, but with the advent of The Internet of Things we can see it approaching. However, because construction is a little behind other areas of our lives we have the opportunity to look at how the data industry works elsewhere and ask is this going to be good for our buildings. How do we want this to work for us? Of course, there is great potential in collecting data. Improvements in performance and operation could become easier as building equipment and sensors start to become more connected to the internet. The built environment is joining a growing part of our lives which falls within The Internet of Things. There are some big claims being made about the potential of connected ‘smart buildings’. Learning more about your built assets by automated data collection is something I would recommend to any building owner, but we have had this opportunity for a long time with modern BMS (Building Management Systems), perhaps we just don’t have a good interface with the limited data that is being collected. This is why the potential for connected devices to push data to the internet where is can be better analysed and visualised is great, but we need to ask is there a hidden trade off? Look at smart devices. Whenever you download an app you’ll see a long list of access types you grant the app. This list often increases when you are offered updates and bug fixes. If you look closer the accesses that you grant often appear completely unconnected to the function of the app, for example access to your photos or text messages. This is because the business model involves collecting as much information as possible and then using or selling it to anyone who will pay for it, and by clicking ‘I agree’ you’ve given whoever makes the app, and probably third party affiliates, permission to do so. Is it worth thinking about this in the context of buildings and the devices we are being offered? If you don’t this could affect your built environment, ask yourself what do you do when you arrive home one evening to find the terms and conditions of your thermostat have been changed and you can’t control the heating without agreeing to give it access to your Facebook friends or your text messages. If you use a smart device you already agree to these intrusive data gathering policies whenever you download an app. This leads me to ask, what do we get in return for giving access? Is it good enough to get a better interface with the data, and will we even get that? Do we need the expertise of the big data crunchers in order to benefit from what is being collected? It is information collected over groups of buildings that won’t be available to the individual owner that has real financial value to the gatherer. If you get access to a trickle of data that may reduce your bills by a small amount but the device provider gets access to analyse data from hundreds of buildings and sell this on or use it to speculate in the market place who has the better deal? I recall a comment by Paul Morrell during an NBS roundtable I participated in; when he was asked who owns the model by one of the other participants his response was categorical, ‘The client owns the model’. Of course he was talking about what we call BIM, but I would argue that collected in use data is part of that model, probably a much more important part than the skeletal geometry that a BIM provides. Consider this, if the terms and conditions that you have to agree to in order to use smart devices and sensors means that you must grant a license to collect data, including data outside the device itself but within the building’s network of other devices, do you really own the model? If you are not in control of your data it seems pretty obvious that you no longer own the model. I’d go further and say that, where data collected is from public buildings it should not pass into the soul ownership of private companies. Let me be clear, I am not saying we shouldn’t collect data, it has huge potential, but we do need to find the best way of ensuring that free permanent access to our building data is retained in a sufficiently raw and open format that we can change data providers. In my mind the BIM protocols need a new section that covers data gathering to protect owners. After all one of the stated aims of the BIM task group is that no building data should ever be lost again. If it is contractually locked up in a private company’s bespoke system it is lost. Should BIM time savings be invested in design time? I’m writing this blog after one of those fierce debates that occasionally flare up on Twitter where 140 characters just doesn’t seem sufficient to express a point. This time it stemmed from a talk I gave at EcoBuild last week where I expressed a preference to spend time saved internally by automation through BIM on refining the design or investing it in our technology strategy and implementation. Claire Thirlwall of @ThirlwallAssoc, who many of you will know from landscape BIM, tweeted her approval of BIM enabling more design time. The ensuing debate quickly polarized into camps who agreed and those that felt any time saved should be used to shorten the design period instead of allowing more design development in the project programme. This second position seems short sighted and demonstrates a lack of understanding about design process and the merits of quality in design. Why would it be desirable to relentlessly shorten the planning and design of a project by weeks or months when a building may stand for 50 years or more? Process needs to be appreciated, ideas tested and design allowed to develop even on the most commercial of jobs. Design quality is an aspect of sustainability that is too easily forgotten in favour of all things green and fluffy. Design time may be often limited on projects but some of us still hope to be hired because at least in part we are known for paying attention to detail at every level of a project. This comes through in so many ways in a piece of architecture that has been well thought out. Good design can look effortless, even obvious, after you’ve seen the solution to a complex problem and it is rarely the result of anything other other than hard work and long hours. Is it that people don’t understand what designers mean when they use the phrase ‘high quality design’? Do some people mistake it perhaps for simple aesthetic over indulgence? Perhaps, but let’s think about the big issues that make a project work well or fail dismally. 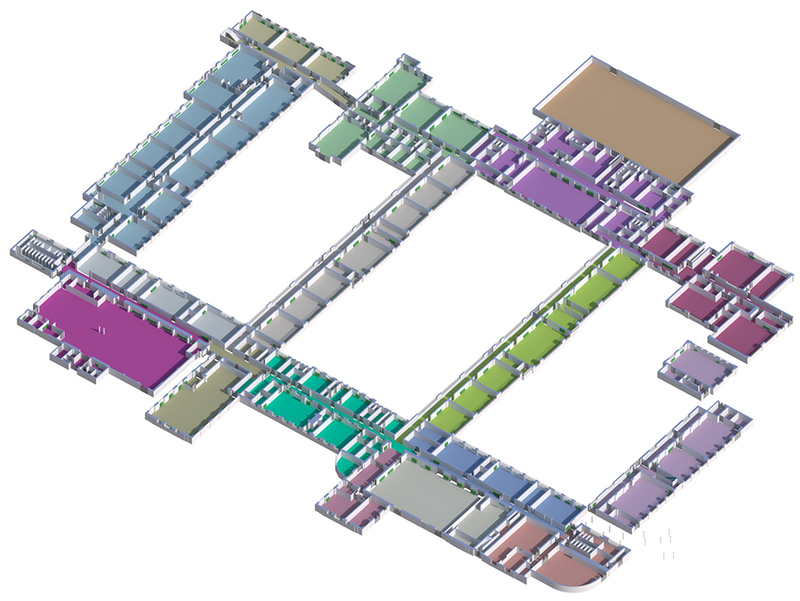 Take for example the spatial planning of a project with a complex brief on a constrained urban site that has a huge number of varied end users, such as a hospital or University. Without even too much consideration of what things will look like there are immediately a host of complex relationships that need exploring, structuring and communicating to kick start the design development and without time there can not be proper testing and proper feedback from stakeholders. Much of this is really the development of a detailed brief, the foundation of any successful design must be the briefing, imagine how wrong the building could be if this is rushed. Sure it may look glossy and expensive but does it work for the users? Sure we want things to look great and we enjoy the process of testing that out too, but without time there is no process. For me this is why design consultants should defend strongly their right to spend the time they save internally on producing a better quality building, because these will surely be longer lived, longer used and longer loved buildings. It was with some cynicism that I read Simon Hart’s blog on LinkedIn Pulse today. While it’s always positive to hear about the government’s commitment to construction technology and process, what is the substance behind Vince Cable’s announcement? Remember that only a few months have passed since the government cut funding for the development to the BIM Task Group for Level 3 development. There is no question that there are many good examples of the use of BIM but this could be lost without a continuing incentive to commit to Level 2. I see the next years as a period of real risk where the standards that we are trying to implement across industry could fragment back into myBIM at a corporate level. If this happens the efficiencies and standardised building data that we are all hoping for will evaporate away. The scaling back of government involvement in shaping policy on BIM is in my opinion a mistake. Almost without exception the large contractors and consultants that I talk to have started to develop their own flavour of Level 2, and there has been a regular stream of articles like this one by Frank McLeod which have an underlying message that Level 2 is overcomplicated, ‘let us simplify it for you’. The industry has proved that it needs the threat of losing contracts to make a commitment to follow a clear consistant method. Failing to implement BIM process itself over the 25 or more years that these ideas and workflows were around before the UK BIM Task Group got its mandate, shows that the strong hand of government is needed to make progress. Level 3 BIM, whatever it ends up being, requires a much greater standardisation, functional links between software, clear process that all parties use, an industry wide classification system and digital planning tools like RIBA’s DPoW. Level 2 is the foundation for Level 3 and yet the industry seems determined to dilute it. Without the moderate levels of discipline in workflow and management that Level 2 requires it’s not possible to advance to Level 3. If the industry wriggles away from the commitment to Level 2, Level 3 will become little more than a marketing term that gives the impression of progression. By Robert Klaschka published by RIBA Publishing, June 2014. “BIM (Building Information Modelling) is revolutionising architecture and construction, as more and more practices are realising the benefits it brings to design, sustainability, and construction. There is a perception that BIM is a process best left to large practices – requiring significant resources and the ability to invest heavily in IT. This book overturns that misconception: introducing a selection of inspirational BIM-enabled projects by small architectural practices. A couple of weeks ago I attended a very positive session at the UK chapter of BuildingSmart. At the event a review was presented of the latest round of testing COBie output from IFC files, which was a broadly successful exercise. One of the presentations was a short piece by Mark Bew, where he made a very pertinent comment about the behaviour of the industry. He observed that if we are to get funding for the next phase of the development of the UK’s BIM strategy after 2016, we must demonstrate that we can deliver maturity Level 2 before that i.e. before we move on to the next phase, Level 3 and beyond. This comment embodies a great many of the problems that surround the success of BIM in the industry and perhaps with the news that the government may scrap the Task Group last week we should all realise that we need to start treating 2016 with the urgency it requires instead of complaining about the difficulties of implementing it. In recent months we’ve seen the headline that “The government will miss the key 2016 BIM target”, published after a survey of the industry by Pinsent Mason. As an industry we need to be honest about this. It is industry failing to deliver, not the government. We have a clearly defined process that for their own reasons institutions and corporations feel they need to change but are never able to explain convincingly why. Industry must stop playing the culture argument too. How can teams be “culturally” unaware when we have been talking about the need to modernise for at least the last five years and when all the design, construction, management and FM journals have dedicated areas on their websites for BIM articles and information. I’m still amazed at how few people have read anything of the resources on the BIM Task Group website, but have a detailed, presumably second or third hand opinion of why the 1192 suite can’t work for the industry. We have to break out of the two polarised groups of those either too afraid or sceptical to engage with BIM, or those who are convinced they know better and stubbornly assert that they’ll do it in their own arbitrarily different but incompatible way. While personally I hope that the future of the construction industry will be shaped by the people I work with now, I can’t help but think that we are currently on a path where the next big players in the design, construction and maintenance of buildings will come from outside the companies that we currently know in the industry. While the board will not be swept clean, the names we know the industry for will become the blue collar end of construction while the value and profit are generated by companies we don’t currently associate with the industry, companies like Google, Oracle and SAP. You may have detected frustration in the tone of this article, and you’re right. As a small practitioner I have invested a great deal in BIM over the lifetime of my company, but ultimately the success or failure of BIM in the UK is not in my hands. As a designer of buildings and provider of existing building BIM I’m too low in the decision-making process to affect the set-up of projects, and once they are under way I have no power to enforce protocols, standards or programmes. I may be capable of working in a Level 2 environment, but without clients agents establishing projects on Level 2 principles my preparation goes to waste. Level 2 maturity is fundamentally project based, and cannot be achieved by an individual company. If we don’t act now then there will come a point where we have lost the opportunity, where contracts start going abroad to the countries that are implementing our own 1192 suite of standards without all the squabbling and excuses. At that point we will have failed to deliver level two BIM, and if we do we will only have ourselves to blame. One of the ideas that I now regularly hear on the BIM circuit is that the young are going to roll straight over the current generation of the construction industry. These conversations always seem to focus on their comfort in working with modern technologies. This argument is as unconvincing to me as the cliché that my ability to set the video recorder, which baffled my parents, somehow allowed me to leave them dinosaur-like in the wake of my modern world of work. It didn’t of course, not least because they could work the video perfectly well. Does mastery of shopping on an iPad really make you a great data operator? Does hours of placing block on block in minecraft make you a great designer? Does the relaxed attitude to privacy and sharing on Facebook set you up for working in sensitive highly regulated environments? Of course not. There is no question that the industry needs to reconsider how we attract the brightest minds into construction but overlaying a simplified interpretation of youth culture and technology is not going to attract young people or serve the industry well. Does this mean that young people have nothing to bring to construction? Do they need to continue to fit themselves into the moulds that we are already within? I believe not, because what young people do have by the bucket load is a culture of collaboration, and almost total comfort with sharing information. I’d consider myself a highly committed BIM advocate but have to admit that there is still a nervy shadow in the back of my mind about the consequence of all this sharing that we do. Our generation and older have been brought up with a suspicion about what will happen if we do share. The current generation do not have that, and I would argue that to prepare the way for their entry into the world of BIM we need to ensure that this enthusiasm for sharing is not sapped away by the obstacles that we could put in their way. Last summer I was fortunate enough to be a team mentor involved in Rob Garvey’s collaboration brainchild at University of Westminster. Project Intermission took students from the School of Architecture and the Built Environment courses on architecture, architectural technology, cost control and project management courses and put them together in two teams to work to a brief updating a space in the basement of the campus. Initially I felt some frustration because the technology we’d planned to use overwhelmed the machines it was installed on. However as the week long project continued the true reason for running the project started to blossom. Students from disciplines who had never worked together before embraced a collaborative workflow with the teams identifying roles and exchanges of information as a team, with team members often focusing on who needed what from them when instead of shutting themselves inside their own siloed work flow. At the end of the project there was a clear acknowledgement that both teams recognised that they had learnt more and produced a better design because of the feedback between disciplines. The process had been richer, more productive and also more satisfying than they would have expected it to be if they had worked in isolation on their disciplines work alone. This culture of openness to sharing and collaboration is one of the ingredients that one can struggle to find on a real world project. As an industry we must create project environments that enable it to flourish because it is a precious resource that is in short supply in a world of professionals brought up within an adversarial way of working. The government’s objectives for level 2 BIM on all contracts by 2016 is a great target – but how will we ensure the information flowing from these projects remains as accessible and re-usable as the authors of the 1192 suite intended? With the release of the first draft of the PAS1192:3, which concerns the operating phase of a project, this has never been more relevant. Throughout this year I have seen several presentations by larger contractors demonstrating new information systems designed for managing the BIM and beyond into facilities management. To some extent these large construction and facilities management companies can’t be blamed for creating these new vaults to lock away publicly procured information. The information must be stored somewhere after all, and as such it could reasonably be argued that such systems are what the market requires. The problem is that without leadership from the government departments who’s assets these are the result will not be data stored in an open format, it will disappear and with it the potential for services as yet unthought of that could perhaps improve efficiency, reduce waste or aid monitoring. One of the foundations of the BIM Taskgroup’s work that Paul Morrell put in black and white terms was that ‘The client owns the model’ – but do they, if it is locked in a proprietary vault? Quite simply the answer is no. The consequences remind me of a observation my late father made about his experience as a district counsellor. He expressed some sympathy for the opposition, explaining that civil servants had a tendency to ignore or de-prioritise requests from the party who were not in power, and that this deficit of access made sound policy making much more difficult and in turn easier for the party in power to rubbish proposed policy ideas. If publicly procured information is stored in open, documented, free formats such as IFC2x3 then the scope for new innovative services, ideas to make public buildings better, is also open. If the same information is stored in multiple proprietary corporate vaults this opportunity ceases to exist. Inevitably the reason that people will argue this is unnecessary is because they can’t imagine what one might do with the data, but that is exactly my point, someone out there will be imagining just what would be possible if the whole of a government estate could be interrogated and analysed. The analogies with data mining, the internet of things, big data and beyond which trip off the tongue so easily in slick BIM presentations should be evidence enough that we’ve not worked out everything we can do with building data yet. There are obvious exceptions, such as secure facilities, but these must remain the exceptions rather than the inevitable cover all that will give the new equivalent to the various attempts at vendor lock in from BIM software platforms. Commercial confidentiality can’t be justified in a process conceived with open data in mind, where to get through the first gateway in PAS1192 sharing information is a requirement. I wonder how long will it be before I have to make my first freedom of information request for public building data? Adding performance data to existing models will save money in the long run, but will clients see the benefits? As BIM penetrates the way we work on new buildings, teams are starting to become familiar with the process of making information models. As an activity it has many similarities with the way buildings were, and still are, designed when information was distributed across drawings, schedules and specifications instead of in an integrated model from which these views can be extracted. Fundamentally the process of laying out the spatial brief, and then assessing the performance requirements of walls, floors, doors and other elements and then specifying them still underlies the modelling and data entry and follows the same sequence. However new buildings account for only a fraction of the building stock, and existing buildings which require existing BIMs are a very different proposition. Everyone in our industry has seen the compelling images of pointcloud surveys that can now make such great records of condition, and these surveys provide the basis for producing geometric models of buildings, at least any bit that you can get sight of with a laser scanner. The accurate geometric information, the ability to refer back to the pointcloud for more detail later, the reduced need for site visits and the completeness of information captured makes the value of this type of survey unquestionable, but the functionality of the model produced is limited. The problem is that scanners don’t record the performance, specification and lifecycle and other properties of the walls, windows, doors and other systems in the building and it is this information that could make an existing model much more strategically useful in decision making associated with programme and cost. We have recently produced two large existing school models. As part of the capture we really wanted to get information into the model beyond the geometry and so we scoured the webshare of captured data for fire signage on doors, escape signs, even looking for seals on doors to indicate that they might have some fire or acoustic performance. Of course these can only be offered up as useful observations when collected in this way with a disclaimer that they are what we had been able to see, and as such need to be checked. So what next? For example, can we agree the performance of existing elements before the designer or constructor starts work? The value of collecting this data and adding it to the federated existing building model is unquestionable. Yet is the cost unpalatable? Adding performance data to existing models is another example of that recurring theme in BIM – spend up front and save tenfold later. Our initial experience with large clients suggest that more forward looking contractors do, and will take the benefits, but will clients and their agents see it that way? History and the lowest cost culture of the UK construction industry suggests perhaps not, but maybe the reduction in risk and the opportunity to re-use existing elements will be a clear enough win. To my mind this is a perfect example of a strategy that would contribute to the BIM taskgroup’s stated objective to reduce waste in construction by 40%. A small practice like mine has a limited amount of time and resource for development and innovation, and these can quickly get soaked up when getting access to work requires entry through bespoke qualification processes that often appear to differ only arbitrarily from each other. When I read the current draft of (technical standards) PAS1192 and its associated documents, I was excited. This suite sets out the requirements to qualify for entry into a project seeking to achieve level 2 BIM. For the first time since our practice had begun to use BIM processes and software we would be judged against others on the basis of our real ability to deliver. The main body of the PAS which will soon become a British standard, and its associated documents from the CIC and CPIC, outline a clear process from briefing, through assessment of ability to deliver, pre-contract and post-contract execution planning and deliverables. Yet my growing experience is that this clear usable process, which has been developed with a large stakeholder input from all sectors of our industry, is being at best misunderstood and at worst ignored. This isn’t just personal experience, I’ve heard numerous anecdotes that make it clear that clients and their agents are learning the language of the PAS but are ignorant or incapable of implementing the process. ‘The EIR, oh it was a blank page…’, a response from a medium sized architect that I’d been asked to consult for, gives a feel of the problem. For without the foundations of the PAS process, the project falls back to the ubiquitous, ‘Will be delivered in BIM’ which means nothing. The effect of this is twofold. Firstly it is damaging to parties that have invested in BIM and secondly it creates a barrier to success on projects that implement BIM, because teams are appointed that can’t deliver and means of communication and deliverables are undefined. This leads to disillusionment over the value of the process by the client, when the reverse should be true.